“Lama” refers to the camelid (camel) family, which includes the four different species llama, alpaca, guanaco, and vicuna. Originating in North America about 10 million years ago, the llama predecessors migrated to South America approximately 2.5 million years ago. Llamas were domesticated from guanacos of the Andean highlands of Peru about 5,000 to 6,000 years ago and are among the world’s oldest domestic animals. Today there are an estimated 3.5 million llamas in South America; and more than 100,000 llamas in the United States and Canada. The life span of a llama is about 20 to 25+ years and mature llamas weigh 250 to 400 pounds with full body size reached by the 4th year. The average height at the shoulder (withers) of an adult llama is 40” to 46” and 5’6” to 6’6” at the head. The average gestation is 350 days and a single baby (cria), weighing 20 to 30+ pounds, is usually delivered from a standing mother (dam) during daylight hours. Twinning is a rare occurrence and usually does not have a desirable outcome. A llama baby is called a cria. When the cria is weaned, normally at 6 months old, it is then called a weanling. At a year old, llamas become yearlings and after 2 years old they are referred to as adults. Male llamas are called males, geldings (if they are castrated), intact males to indicate they have not been castrated, or studs if they are actively breeding. The term sire denotes being the father of a certain llama. Female llamas are referred to as females and the term dam means they are the mother of a certain llama. Llamas can give birth throughout the year because they are induced ovulators and are receptive to breeding at any time. Depending on climate, breeding should be planned to avoid births in the extreme heat of summer or cold of winter. Unlike most mammals, llama mothers do not lick their newborn nor eat the afterbirth. Crias begin walking within an hour and nurse from their mother one to two hours after they are born. The placenta (afterbirth) is usually passed within 4 hours. Blood is drawn from the cria 24 to 72 hours after birth for an IgG test to determine absorption of colostrum and immunity level. A cria should not be bottle fed unless medically necessary and then with a minimum of handling. Beware of the unscrupulous person who sells a cria separate from its mother and tells you to bottle feed it. Crias need to bond with and nurse from their mother for their physical, social, and emotional well being. Llamas can exhibit behavioral problems as adults if over-handled by humans when they are young. Males can be castrated after 2 years of age if they are not intended for breeding or earlier if they have been bottle fed, over-handled, or exhibit behavioral problems. A bottle-fed male llama that has not been gelded at an early age can be dangerous as an adult, because they lack a normal fear of people and regard them as competitors. A female can be bred around 2 years of age, depending on their emotional and physical maturity. Early breeding of females before 2 years old can affect a female’s growth and general health. After males are 6 months old, they should be kept separate from females to avoid unwanted breeding which may result in pregnancy and/or health problems. While males may be fertile at seven to nine months old, they are not fully dependable breeders until three years old when they are socially and sexually mature. A breeding quality male or female encompasses good conformation, health, disposition, milk history, being free of genetic defects, have unrelated or outcross bloodlines without inbreeding or line breeding (no breeding of related bloodlines), and a purpose for breeding. Not every llama is of breeding quality and not every llama should be bred. Selective breeding helps to prevent passing on conformational and genetic problems, overpopulation, and unwanted llamas. Purchasing only ILR (International Lama Registry) registered llamas is important to being able to trace their lineage to ensure there are no related bloodlines and less genetic problems. Most regional and national shows, sales, and other events require that participating llamas be registered. The ILR is a research center for members wishing extended pedigree information on multiple generations, statistical data, herd lists, progeny lists, country of origin, age and color. North American llamas are bred and raised for packing, wool production, cart pulling, animal facilitated therapy, pets/companion animals, guardians for smaller livestock, 4-H, and for exhibition in shows, parades and fairs. Llamas are companion animals and are not raised for meat and are not eaten in North America. Llamas are viewed much like you would your dog or cat, which you would never consider eating. As a backpacking companion, an adult llama (3 ½ to 4 years old) can carry 15 to 25% of their body weight for distances of 5 to 15 miles in a day, depending on terrain, elevation gain or loss, age of the llama, physical condition, etc. Since llamas do not achieve full growth until adulthood, they may suffer physical harm if loaded with weighted packs prior to 3 ½ to 4 years old. Llamas are not meant to be ridden like a horse. Llamas are good travelers, either in a horse or stock trailer, a pickup truck with a covered stock rack, or van. Llamas normally lie down once the vehicle starts moving. Llamas should not be tied into vehicles while being transported due to the possibility of strangulation or injury. Halters should never be left on llamas unless they are being directly worked with. A well fitting llama halter is important to prevent injury and possible death. Llamas are used to guard livestock such as sheep and goats. Most llamas have an innate dislike for canines. When a llama is placed with a flock, he often becomes much more protective as he begins to bond with the flock and to establish and protect a territory. Llamas have been proven to be very effective against single dogs, foxes, and coyotes however a llama can’t be expected to fend off a pack of dogs or larger predators such as bears and mountain lions.A guard llama should be at least 2 years of age, emotionally mature, gelded, and show some protective instinct. Advice should be sought when purchasing a guard llama as not all llamas make appropriate guards. Llamas are very intelligent and are quick to learn to accept a halter, follow on a lead, load in a vehicle and carry a pack. Willing obedience and trust must be earned through proper training, time and patience. Llamas are highly sociable herd animals and need the companionship of other llamas as pasture mates. 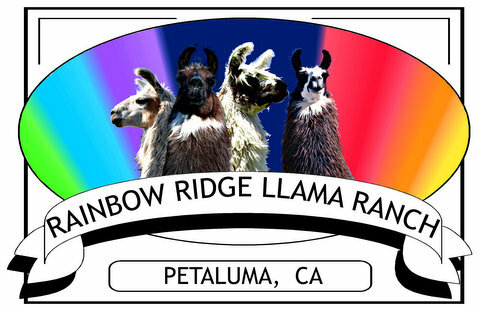 If you are interested in owning 2 or 3 llamas, having all females or all males is a more compatible living arrangement. Females and males play and interact differently and are happier with their own gender let alone easier on pasture management. Llamas behave as individuals, tending to be extremely inquisitive, but with a calm and stable disposition. Llama wool is warm and luxurious, lanolin-free and lightweight. Llama fiber is a medullated, cellular, hollow fiber that gives it a good weight-to-warmth ratio. Hand spinners, weavers, and felters delight in approximately 22 colors ranging from the purest white, rosy beige, tans, cinnamons, tobaccos, rich grays and silvers, to jet black. Llama fiber can also be dyed to give even more variety of color. So far, because of our limited present production, fiber use has mostly been limited to that of cottage industries. The length of wool can be from 3 to 8 inches on an adult. There is no wool on the inside of their legs, belly or tail. Llamas are first shorn at one to two years of age after which they are shorn annually to yield a fleece weighing three pounds to ten pounds. Short fibered llamas with a downy undercoat can be brushed year-round. Shearing of heavy-wooled llamas is recommended in hot climates, however at least 1" of wool should be left on the llama to prevent sunburn. Routine brushing of llamas will reduce matting and accumulation of debris. The llama has a split-toed foot, divided by a deep cleft, with the front of each toe covered with a hard nail and the underside formed of two large, soft pads similar in texture to a dog’s pad. They are very adept at walking on sandy or rocky surfaces. Llamas, which are kept on heavily irrigated pasture, live in a wet climate, or on soft ground need to have their nails trimmed more often than those on harder rocky soil. The small, oblong bare patches on the side of each rear leg are scent glands, suspected to be associated with the production of alarm pheromones. Several distinct sounds are common to the llama “language”. A soft humming in different tones is the most common, a screeching noise when males battle, a distinctive alarm call to alert their companions and human keepers to the presence of unfamiliar dogs or threatening creatures, and a orgling sound from males when mating. They also express themselves through a series of ear, body, and tail postures. Llamas will spit at other llamas in order to establish the pecking order within the herd, to ward off an unwanted suitor, or to say “Stop it!” A llama that has been mishandled, feels abused or threatened may occasionally spit at humans. Llamas are generally disease free, although they can suffer from the same common ailments of sheep and goats. To ensure good health, establish a regular schedule for cleaning their dung piles and an annual preventative medicine program with your veterinarian who may include protection from enterotoxemia, tetanus, leptospirosis, rabies, and internal and external parasites. Llamas should be dewormed at least every 6 months depending on climate, housing conditions, pasture availability, animal population density, presence of other animals, and diseases prevalent in the area. Contact a veterinarian who knows the area in which the llamas are to be living to see what problems prevail and what toxic plants should be removed. Since llamas sample various plants, care must be taken to ensure poisonous plants are not within reach inside or outside of their pastures. Llamas are very stoic and hide outward signs of pain and ill health. It is important to know each llama well to pick up on subtle signs of behavioral changes. Llamas are remarkably clean, and even large herds are quite odorless. Llamas roll in the dirt, taking a dust bath to help maintain a healthy, fluffy coat of wool. Dung-piling behavior is an important means of spatial orientation and territorial marking. By taking advantage of this habit you can encourage your llamas to establish dung piles by “prebating” four or five sites per acre with a shovel-full of llama pellets. Llama manure is a great soil amendment for your garden, has low odor, and does not burn your plants. Llamas are browsers, requiring about 25% roughage in their diet. The llama’s protein requirement is relatively low (8 to 10% protein on a maintenance diet) due to their efficient digestive systems. Excessive protein, such as alfalfa, is not only fed at greater cost but burdens the llama who must excrete excessive nitrogenous wastes and adds to the problem of heat stress. The llamas requirement for amounts of carbohydrates, proteins, fats, mineral and vitamins is influenced by age, demands for body maintenance, anticipated growth, activity, work load, state of pregnancy, lactation and environmental temperature. Llamas (grain) pellets can be offered in limited amounts as treats, for lactating females, underweight llamas, and working llamas. Treats can also include carrots and apples. They should be provided with unlimited clean, fresh water daily and free-choice loose mineral salts. Without pasture, an average size bale of good grass hay (80 to 100 pounds) will feed one adult llama for about 10 days to 2 weeks. Four to eight adult llamas can be kept on an acre of irrigated pasture depending on compatibility and health issues. Llamas prefer lots of room to roam and don’t like to be penned up in small spaces. Never feed moldy, foul smelling or weed filled hay to a llama. Like cattle, sheep and deer, llamas are multi-stomached ruminants that chew their cud. The llama is a modified ruminant herbivore that ingests plant material and digests it in a unique, 3-compartment stomach. The llama’s stomach is functionally similar but anatomically different from that of true ruminants (cattle, sheep and goats). They have a hard upper gum (no upper teeth in front), grinding upper and lower molars in back, and ingenious split upper lip for grasping forage in unison with the lower incisors. Adult males develop large, sharp upper and lower canines for fighting which should be removed by a veterinarian to prevent injury to other llamas. Special fencing is not required. Fencing that is adequate for cattle and horses will also serve the llama. Barbed wire should be avoided as well as any wire fence with squares of 6 inches or larger, since llamas may stick their heads through the openings. Fences should be at least 5 feet high and dog proof. Young shade trees should be fenced or wrapped with wire to prevent debarking by nibbling llamas. Llamas get along well with other farm animals such as sheep and goats. They will not tolerate strange dogs in the pasture and usually chase them out. It is usually the friendly owners or neighborhood dogs who may pose the greatest danger of physical harm to llamas. Don’t trust any dog left in with llamas or having access to enter their pasture. 3 to 4 sided shelters should be made available, although they usually will not seek shelter except in rainy weather, heavy snow conditions or extreme heat. A general guide to minimum shelter space for compatible pasture-mates is: five adults or seven yearlings shelter nicely in an open 12 x 16 foot shed, and four mothers and babies fit comfortably in a 16 x 16 foot shed. The key is congeniality. In any climate it is useful to have at least one stall where a mother and newborn cria or an ailing llama can be confined if necessary. Llamas don’t like to be confined alone and having a companion llama can reduce a stressful situation. Feeders should be located indoors for wet weather use. To decrease chances of their picking up parasites, llamas should not be fed on the ground or near dung piles. In a large pasture, a small 9 x 9 to 12 x 12 foot catch pen will make it easier to catch the llamas. So, now you want to buy a llama. Remember every llama needs a llama buddy. Figure in how much pasture area you have for your llamas. Is there shade and shelter available? A water source? Covered storage for hay? Decide what your objectives are, what do you want to do with your llamas? What is your price range? Often you get what you pay for if you find very cheap llamas. Are the llamas properly trained and handled, ILR registered, vaccinated from birth, healthy and well conformed? What is the reputation of the ranch? Was the llama inbred or from unrelated bloodlines? There is a greater propensity for health problems if the llama is line-bred or inbred. Ask to see the ILR registration papers. Is the llama you are purchasing at least 6 months old and weaned from its’ mother? Was it bottle fed? Is the llama naturally standoffish, friendly or pushy? Overly friendly llamas that bump into you and do not respect your space, can range from a mere nuisance and can usually be retrained, to becoming overbearing to the point of dangerous. An aggressive and overbearing intact male can be a danger to your safety and anyone entering its’ pasture. What was its’ IgG at birth? Will the seller provide you with information, resources, training, and support before and after the sale? Are there any breeding or fertility guarantees if the llama is sold as a breeding llama? What is the general cleanliness and appearance of the ranch? Llamas live a long time. If you purchase the llamas for your children, whom will be taking care of the llamas when your children go off to college? If you breed your llamas, who will buy them? If you plan to have a breeding program with specific goals, it pays to begin with as high quality llamas as you can afford. There is no perfect llama, but you want to get as close to that as possible if you are breeding. If you only have a couple of females, it is often easier to breed your females to outside males and not have your own stud. Search for females with the qualities you want and enhance those with traits from a unrelated male to attain your breeding goals. Do you have a local vet who is knowledgeable about llamas? Do you have a source for hay, llama pellets, loose mineral salts, and llama supplies? Is your fencing dog proof from your own dogs and neighbors dogs? Do you know if there are poisonous plants in your pasture or within reach? Pasture management is critical. If you get a young llama, do you know how to train it properly and when to get a larger halter size? Joining local, regional and national llama organizations, reading llama books, watching llama videos, and subscribing to llama magazines will increase your llama knowledge and sharing of information. There are llama shows, pack trips, events, clinics and conferences held through out the United States that will also expand your horizons. Please contact me if you should have any further llama questions.